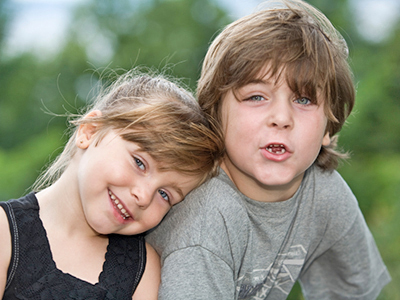 A sibling DNA test from DNA Diagnostics Centre can help two individuals verify whether they share one or both parents. This type of test is often performed when an alleged father is unavailable for paternity testing and supposed siblings want to know if they have one or both parents in common. Half sibling DNA test is performed when two alleged siblings believe they only share one biological parent (as in when two siblings do not have the same biological mother but would like to know if they have the same biological father). Full sibling DNA test is performed when two siblings share one biological parent and would like to know if they share the other parent as well (as in when two siblings know they have the same biological mother and would like to know if they also have the same biological father).